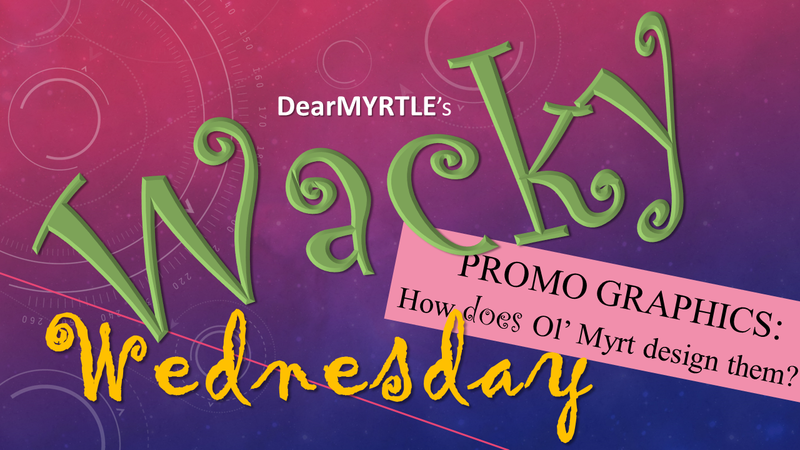 DearMYRTLE's Genealogy Blog: WACKY WEDNESDAY: How DOES Ol' Myrt make those promo graphics? WACKY WEDNESDAY: How DOES Ol' Myrt make those promo graphics? At the request of several community members, we're going to have a particularly Wacky Wednesday session tonight because Ol' Myrt herself will share her secrets for creating promo graphics for her Hangouts On Air. YUP! This means she will have to keep her very distant cousins at bay. Hopefully this session will give genealogy society program chairs and newsletter editors a few ideas.